After years of having to rely on friends and family to assist him in getting in and out of his existing car, David Stubley was looking for true independence. 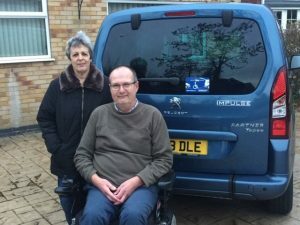 David, from Lincolnshire, uses a wheelchair and wanted to be able to drive his wheelchair accessible vehicle (WAV) himself. 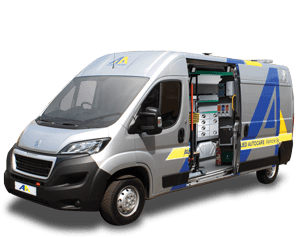 Luckily, the team at Allied Mobility had a mobility car to suit his needs and David is thrilled with his new Peugeot Partner Impulse™. No stranger to Motability events over the years, David had seen many WAVs that almost fit the bill but weren’t quite perfect. He was unsure whether the Impulse™ was going to be the same. After meeting with Des, his dedicated mobility advisor, and trying the car for himself, David found the Impulse™ was the ideal accessible car for him. 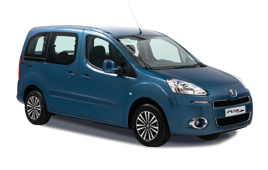 A conversion of the well-loved Peugeot Partner, the Impulse™ allows the driver to enjoy a fully independent experience. The remote-controlled automatic tailgate and wheelchair ramp means that for David, relying on assistance has become a thing of t he past. Combined with the flat floor and docking station, David is now able to enter and exit the vehicle unaided. The flexible seating options in the Impulse™ mean that David can choose a customisable layout that suits both him and his passengers. With Allied Aftercare™, he can also rest easy knowing that he has Allied’s support for years to come. With the Impulse™ changing his family’s life, David only has one regret. 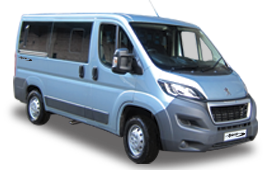 The Peugeot Partner Impulse™ is available to buy, to hire or for lease via the Motability Scheme. 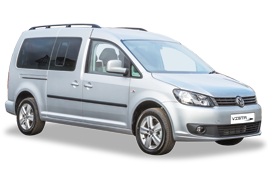 To find out more, please call the number at the top of this page or click here to enquire online.